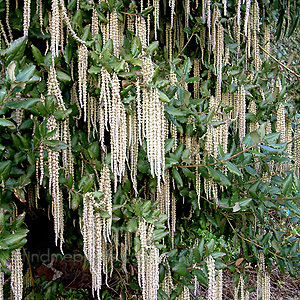 Cultivation tips: Garrya's will flourish in most garden soils including droughty / infertile soils. This hardy shrub will tolerating both full sun and partial shade and will flourish in exposed coastal areas. Trim to shape in late spring, after 'tassels' have fallen.